BAKU, AZERBAIJAN. A saleswoman adjusts the window display at Bulgari on Neftiler Prospekt, or Oil Worker's Boulevard on July 2, 2010. 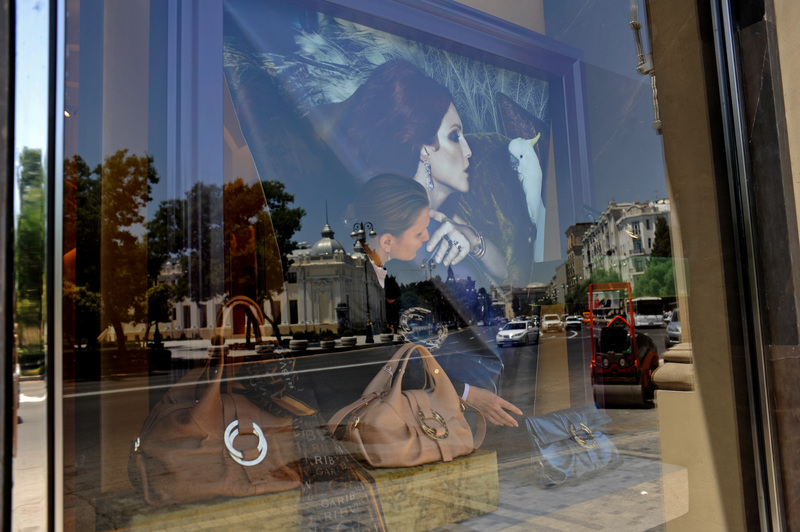 Luxury shopping in downtown Baku is one symptom of the city within the city or the country within the country where the elite, estimated at 50,000, control much of the country's income and profit from oil revenues, leaving a wide gap in the absence of a middle class between them and the rest of the country.